I've been obsessing about wire for a while now. If you tie your knots in wire you could make all sorts of interesting and unique findings like a chandelier/filigree finding or a stone/bead setting. 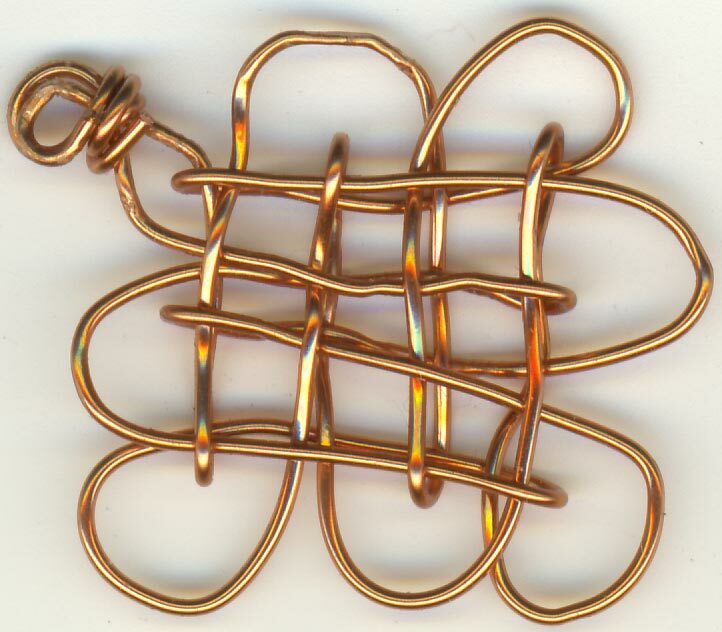 This mystic charm was tied in 24ga copper wire. I first made a template with 1mm cord and ran the wire through as if I were adding a sideline embellishment thread. When the cord and wire start crowding each other, I removed the cord where wire had already passed. The image is enlarged for easier viewing. The actual item is less than 2cm along a side.